Ow! Now it's just annoying. 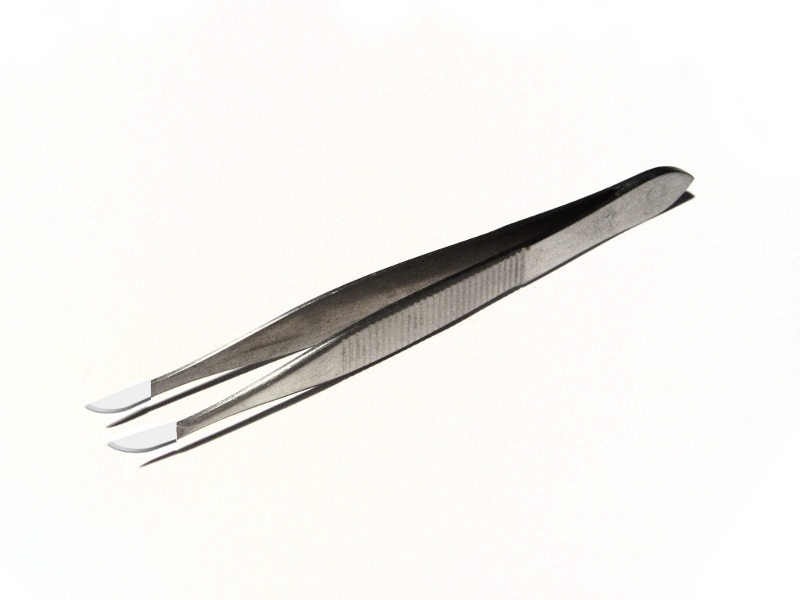 Having picked up another annoying skelf (splinter) in my finger at the weekend, what I really need to dig it out is a cross between a pair of tweezers and a scalpel. So I hereby invent the Tweepel. Unless it already exists, but a quick Google didn’t throw anything up. 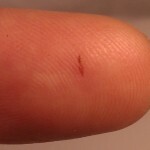 So the problem is I can see the end of the skelf just below the skin, normally I’d hack away at it with the end of a needle until there’s enough sticking out to grab with a blunt pair of tweezers. What I really need is the Tweepel. 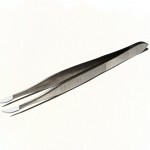 Imagine a fine pair of tweezers, but the ends are small scalpel blades. 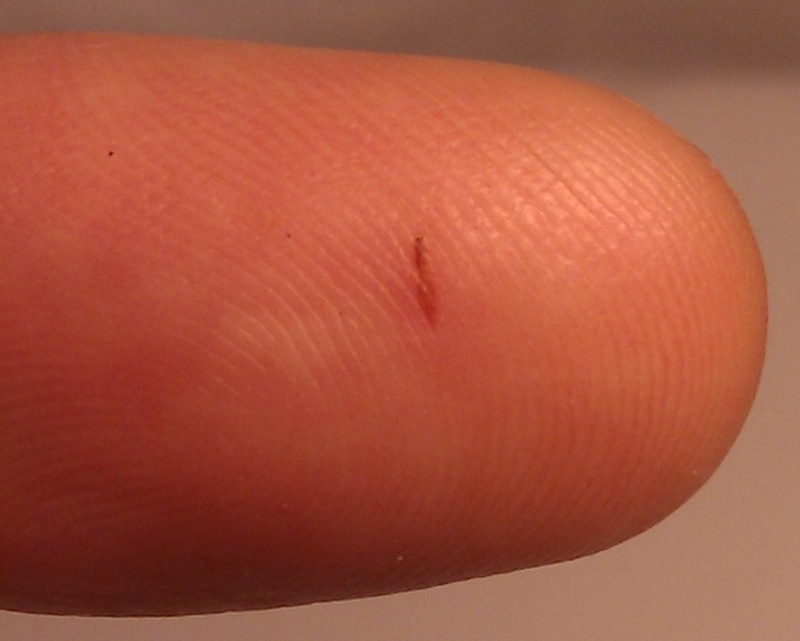 Now I can slice through the out layers of my epidermis and then grab the end of the splinter in one easy action. What could go wrong! This entry was posted on Monday, May 28th, 2012 at 12:29 pm BST and is filed under invention. You can follow any responses to this entry through the RSS 2.0 feed. Both comments and pings are currently closed.